Please select from our variety of classes below. As the legal parent or guardian, I release and hold harmless ADA Dance Co, its owners and operators from any and all liability, claims, demands, and causes of action whatsoever, arising out of or related to any loss, damage, or injury, including death, that may be sustained by the participant and/or the undersigned, while in or upon the premises or any premises under the control and supervision of Annemarie's Dance Academy, its owners and operators or in route to or from any of said premises. 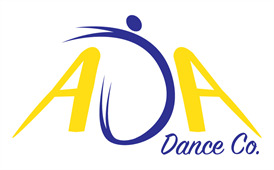 The undersigned gives permission to ADA Dance Co, its owners and operators to seek medical treatment for the participant in the event they are not able to reach a parent or guardian. I hereby declare any physical/mental problems, restictions, or condition and/or declare the paricipant to be in good physical and mental health. I request that our doctor/physician ________________ be called and that my child be transported to ______________________ hospital. Please include physicians' phone number _______________. Tuition is due by the tenth of each month. If accounts are paid after the tenth of the month there is an additional amount due according to the length of the class, There is a $35.00 returned cheque charge for any cheques returned by the bank.